The band's former singer claims his guitarist sibling has released false statements about the end of the band, including a comment that Liam pulled out of the group's headline slot at the V Festival in 2009 because he was suffering from a hangover, and has served him a high court writ over. In a letter sent through his lawyers, Carter-Ruck, Liam claims Noel's comments went "way beyond rock and roll banter," and were a slur on his professionalism and he is demanding an official apology. Since he has received no apology, Liam is now taking the lawsuit to a High Court in London. According to The Sun newspaper, Liam's letter states: "I have taken legal action against Noel Gallagher for statements he made claiming Oasis pulled out of the 2009 V Festival Chelmsford gig because I had a hangover. "That is a lie and I want Oasis fans and others who were at V to know the truth. I was gutted when I couldn't play the gig because I didn't want to let the fans down. "But the truth is I had laryngitis, which Noel was made fully aware of that morning, diagnosed by a doctor. 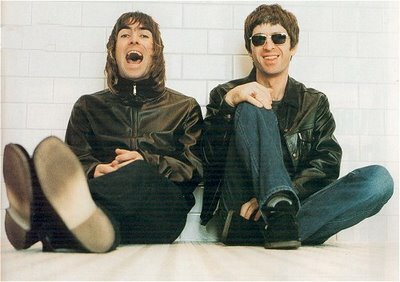 "I am used to being called all sorts of things by Noel and I have in the past said things about him. But what Noel has alleged this time went way beyond rock-and-roll banter and questioned my professionalism. "I tried to resolve this amicably but have been left with no choice but legal action. All I want is an apology." Liam and Noel's problems reached a climax a few days after the cancellation of the V Festival performance when they had a huge bust-up backstage before a Paris music festival appearance which ended with the singer attacking his older sibling with a guitar. The brothers reportedly haven't spoken with each other since and while Noel has gone on to record a solo album as Noel Gallagher's High Flying Birds, Liam and the other members of Oasis have formed Beady Eye. At a press conference to announce his debut solo album in July, Noel claimed Liam had blamed him for the negative media coverage that followed the band pulling out of the V Festival. The guitarist said: "You know he didn't turn up to the V Festival gig because he had a hangover. He claimed he had laryngitis, but whatever. There was a lot of bad press around that and in his own head he thinks I'm some kind of f***ing puppet master who controls the media in England."